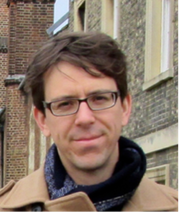 The Computational Materials Chemistry group is led by Dr Alister Page. After receiving undergraduate and PhD qualifications from The University of Newcastle in 2008, Alister Page held postdoctoral positions at The University of Newcastle (Australia) and Kyoto University (Japan), and held a Fukui Fellowship at the Fukui Institute for Fundamental Chemistry (Kyoto University) between 2009 and 2012, where he collaborated with Prof. Keiji Morokuma. In 2012 he returned to Australia with a University Fellowship at The University of Newcastle in the Discipline of Chemical Engineering. He is currently a lecturer in the Discipline of Chemistry. His research focuses on the investigation of the dynamics, structure and properties of materials, using non-equilibrium molecular dynamics and quantum chemical methods. His interest in carbon nanostructures began in 2009, and his initial research activities in this area focused on understanding how carbon nanotubes form. He subsequently broadened this focus to include graphene formation on transition metal catalysts, understanding the principles governing functional carbon nanostructures such as graphene oxide and functionalised fullerenes, ionic liquids and ionic liquid - solid interfaces. This research has resulted in the publication of 1 book, 2 book chapters, over 60 internationally peer-reviewed journal and conference papers, and 10 invited/keynote lectures at international meetings. His research has been featured on the cover of Accounts of Chemical Research, Journal of Physical Chemistry, ChemPhysChem and Journal of Computational Chemistry.